Born 20 Mar 1920; died 9 Jul 1996 at age 76. Born 20 Mar 1910; died 16 Oct 1985 at age 75. American biologist who went on expeditions in Panama, British Guiana, Brazil, and Venezuela (1937-39). Afterwards, he wrote his first book, To the Lost World (1939), recording his search for giant ants in jungle areas of South America. In Flamingo Hunt (1952), he discussed his search for Bahamas flamingo. His articles and photographs illustrated various National Geographic publications with subjects such as an albino gorilla in Central Africa, three-foot long, seven-pound frogs, and the bathtub-sized Rafflesia flower with two-foot-wide leathery petals he found in Malaysia. On other expeditions he researched the deepsea fauna in Straits of Messina and travelled in many other countries. The Scientific Analysis of Personality, by Raymond B. Cattell. - book suggestion. B.F. Skinner: A Life, by Daniel W. Bjork. - book suggestion. Philosophy of Science: The Link Between Science and Philosophy, by Philipp Frank. - book suggestion. Born 20 Mar 1846; died 8 Apr 1901 at age 55. Italian pathologist who discovered the role of platelets in haemostasis and identified the bone marrow as the site of production of blood cells. As professor of general pathology at the University of Turin, made it one of the most important European centres of medical scholarship. Among those who studied or worked in his laboratory were Edoardo Bassini, the surgeon who perfected the operation for inguinal hernia (Bassini's operation); Carlo Forlanini, who introduced therapeutic pneumothorax in treating pulmonary tuberculosis; and Antonio Carle and Giorgio Rattone, who demonstrated the transmissibility of tetanus. Bizzozero also contributed to knowledge of histology and public health, emphasizing the control of malaria and tuberculosis. Born 20 Mar 1845; died 10 Mar 1888 at age 42. Torbern Bergman, a Man Before His Time, by Joseph A. Schufle. - book suggestion. Born 20 Mar 1647; died 18 Oct 1724 at age 77. French physicist who built a primitive internal-combustion engine which was intended to operate a pump. The piston was pushed back by the explosion of a small charge of gunpowder, and then returned as the combustion gases cooled, leaving a partial vacuum. 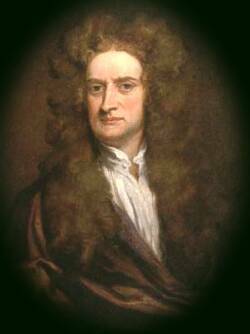 He wrote on many topics, including acoustics, optics, tidal phenomena, and watch mechanisms. He also invented the micrometer microscope to measure the size of minute objects. Born 20 Mar 1546; died 20 Aug 1622 at age 76. Australian geologist who contributed a model of an expanding earth in support of Alfred Wegener's concept of moving continents. Carey's ideas were a prelude to, and replaced by, the present theory of plate tectonics. Died 20 Mar 1983 at age 91 (born 2 Sep 1891). Died 20 Mar 1962 at age 94 (born 5 Jul 1867). Died 20 Mar 1950 at age 72 (born 22 Oct 1877). In Focus, Out of Step: A Biography of Frederick William Twort, by Antony Twort. - book suggestion. Died 20 Mar 1932 at age 61 (born 1 Aug 1870). A Manual for the Study of Insects, by John Henry Comstock. - book suggestion. Died 20 Mar 1928 at age 64 (born 5 Nov 1863). Packard Motor Car Company, by Evan P. Idle. - book suggestion. Booklist for Packard automobile history. Died 20 Mar 1921 at age 78 (born 25 Apr 1842). French engineer who was an important leader in experimenting with various ways of reinforcing concrete with iron and steel. At the Paris Exposition of 1867, Hennebique saw Joseph Monier's tubs and tanks built of concrete reinforced with wire mesh, and began experimenting with ways to apply this new material to building construction, setting up his own firm (1867). First using reinforced-concrete floor slabs (1879), he progressed to a complete building system, patented 1892, using his invention of a method using hooked connections on reinforcing bars. Hennébique introduced his techniques into Britain when he was commissioned to build a new flour mill in Swansea (completed 1898). This was the first multistorey reinforced concrete building in Britain. Robert Mayer and the Conservation of Energy, by Kenneth L. Caneva. - book suggestion. In 1987, the FDA approved the sale of AZT (azidothymidine), an antiviral drug believed to prolong the lives of some AIDS patients. By 2000, an estimated 50 million people were infected with HIV worldwide. AZT was the first authorized antiretroviral AIDS drug. Combined with other, recently approved antivirals, AZT's effectiveness has been increased. The generic name of AZT is zidovudine, brand name Retrovir. It was originally developed in 1964 by Dr. Jerome Horowitz of the Michigan Cancer Foundation as a possible treatment for cancer. In Feb 1985, the National Cancer Institute, under the direction of Dr. Samuel Broder, tested AZT and found that it was a potent inhibitor of AIDS. In 1934, the first test of a practical radar apparatus was made by Rudolf Kuhnold in Kiel Harbour, Germany, Chief of the German Navy Signals Research Department. His 700-watt transmitter worked on a frequency of 600 megacycles, had a receiver and had disk reflectors. It received echoes from signals bounced off the battleship Hesse, anchored 600 yds away. In an October test, it picked up echoes from a ship seven miles away. Radar was to be an important asset in the coming WW II, but ironically it was the U.S. and Great Britain, that took Kuhnold's pioneering work and developed it into a reliable detection system. Kuhnold may thus be described as the man who won the Battle of Britain for the English! In 1916, Albert Einstein's Theory of General Relativity was published as an academic paper in Annalen der Physik 49, 769, titled “Die Grundlagen der allgemeinen Relativitästheorie.” This theory accounted for the slow rotation of the elliptical path of the planet Mercury, which Newtonian gravitational theory failed to do. Fame and recognition came suddenly in 1919, when the Royal Society of London photographed the solar eclipse and publicly verified Einstein's general theory of relativity. In 1921 he was awarded the Nobel Prize for Physics for his photoelectric law and work in the field of theoretical physics, but such was the controversy still aroused by this theories on relativity that these were not specified in the text of the award. In 1900, Nikola Tesla received a patent for the wireless transmission of electric power (No. 645,576). Wizard: The Life and Times of Nikola Tesla: Biography of a Genius, by Marc Seifer. - book suggestion. In 1886, America's first demonstration of the alternating-current system provided lighting along Main Street at Great Barrington, Massachusetts. The power came from the first AC power plant in the U.S. to begin commercial operation. With this project, its creator, George Westinghouse, now thirty-nine years old, began a new direction in his career. A Life of George Westinghouse, by Henry G. Prout. - book suggestion. Volta: Science and Culture in the Age of Enlightenment, by Giuliano Pancaldi. - book suggestion.